Crossfit Level 1 certified trainer. Previous athletics high school and collegiate volleyball. Currently I enjoy playing in recreational leagues. I started competing in triathlons as an adult in an attempt to find my fitness again after college. During my last triathlon training I found CrossFit and used it for the strength portion of my training. 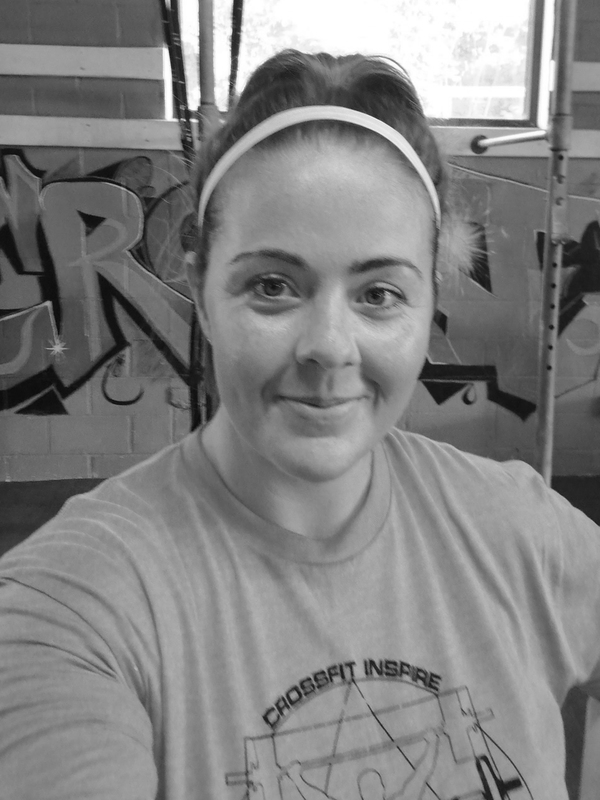 It was clear CrossFit made me stronger, leaner and increased my endurance. It wasn’t long until i developed a strong passion for fitness through CrossFit. My personal journey from post college weight of 280 lbs to my current athleticism helps me understand the struggle of poor eating habits. I have a passion for helping other women gain confidence and realize their athletic potential. The CrossFit community has been truly life changing for me. And the only way to keep the happiness it has given me is to share it.